In Part One, we discussed the $3 billion settlement that the U.S. government recently made with pharmacological giant GlaxoSmithKline, and Dr. Karen Wagner who helped GSK fraudulently market Paxil for use on children. GSK then funded a pilot study in which Dr. Gadde gave Wellbutrin to 25 obese, but not depressed, women, and gave a placebo to 25 obese women. All the women were placed on a 1600 calorie per day diet. The study lasted only 8 weeks, but of the 30 women who completed the study, the 18 taking Wellbutrin lost a larger percentage of body weight than did the 12 given only a placebo. The study was promising, but statistically insignificant, and without enough standard criteria applied to support an application to the FDA to expand the approved use for Wellbutrin as a diet pill. Nonetheless, GSK entered into a massive media campaign, paying Dr. Gadde to train as a media representative, and hiring him to speak to Wellbutrin sales reps about the potential that Wellbutrin had for use as a diet pill, even for non-depressed patients. The media campaign worked brilliantly, but in the spring of 2000, GSK and Dr. Gadde had a falling out over Dr. Gadde’s insistence on emphasizing certain safety warnings, and his refusal to use Wellbutrin’s trade name in his promotional talks. This led to the withdrawal of funding for Gadde’s programs by GSK, but it also left GSK on the hunt for another doctor to promote Wellbutrin to sales reps, other doctors, and the public as a diet aid. Without Gadde, GSK’s national marketing team realized if they wanted to have Wellbutrin take off as a prescription diet aid, they would need another doctor to act as a spokesperson, and present Gadde’s study to their sales force and physician groups. 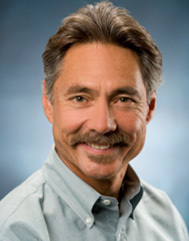 In September of 2001, GSK hired Dr. Ken Fujioka to train the Wellbutrin sales force on using Wellbutrin for weight loss. Dr. Fujioka was not a psychiatrist, did not treat depression, and did not use Wellbutrin at all for its only on-label use. A San Diego endocrinologist, Fujioka was known as the “Fat Doctor” due to his focus on diet and weight losss. Fujioka may not have had any experience or interest in treating depression, but his talks about Wellbutrin as a diet aid were very popular with both the sales reps and doctors. The reps quickly set up programs featuring Dr. Fujioka as a speaker, and used him on sales calls to get more doctors interested in prescribing Wellbutrin for obesity. Strategic plans blossomed, and the GSK team realized what a cash cow they had on their hands. As one of a group of highly-paid speakers, Dr. Fujioka gave the same speech over and over, requiring him to make no additional preparation for each well-paid trip. While the documents released by the government do not give the exact amounts that Dr. Fujioka was paid for his cross-country lectures, we can be certain that the amounts greatly exceeded the amounts that he was otherwise paid to practice medicine. He was part of a speaker program set up by GSK in which doctors were invited to lavish dinners or other recreational events (including, for example, a trip to Jamaica), so that “peer” speakers like Fujioka could lecture them about possible off-label uses for Wellbutrin. How much exactly has Fujioka been paid by GSK for his efforts? It will be interesting to find out….. next year. When the Physicians Payment Sunshine requires GSK to report the information. Both Gadde and Fujioka continued to research the use of Wellbutrin’s active ingredient, buproprion, as a weight-loss agent. In 2010, they were listed as co-authors in a study used by Orexigen Therapeutics in a submission to the FDA for approval of Contrave, a compound made up of buproprion and naltrexone, as a diet pill. The FDA refused to approve Contrave because it considered that the risk of heart attack from the buproprion was too high.